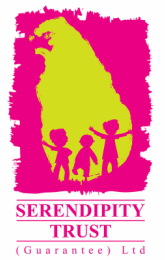 The Serendipity Trust is currently working with local and international artists to hold an ongoing program of illustration workshops aimed at inspiring creativity in primary and secondary students. In these workshops students will explore the various art mediums which are often used for children's story books. They will play with collage, acrylics, pastels and water colours before choosing one page from an original children's story to illustrate in their own unique style. In 2014, illustrations will be selected to be included in a children's story book which will be published and distributed amongst local book stores and school libraries.